Most of us (hopefully) have a dislike of debt, but not all debt is created equal. Some debt can actually be good for your business and accelerate its rate of growth. 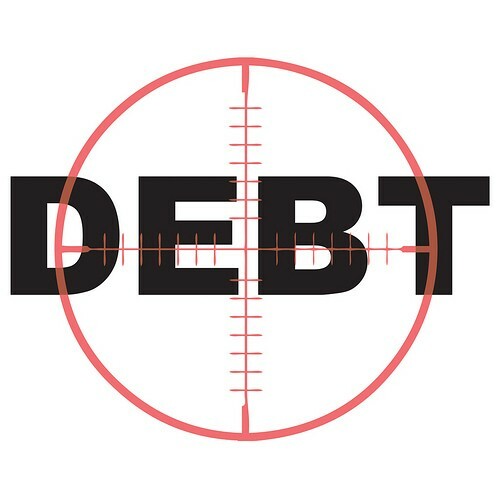 So let’s very quickly define the difference between good debt and bad debt in business. Unlike in our personal lives, not everyone in business (particularly small business), has the opportunity to turn to a debt advisory centre to discuss their issues. To understand good debt you need to first understand the hurdle rate. The hurdle rate is simply what your debt is costing you each month, so if you borrowed $100,000 at a rate of 8%, your hurdle rate would be $8,000 per year, or $666.67 per month. You will often see the hurdle rate referred to as the cost of capital. Now that we understand the hurdle rate we can define good debt as being any assets purchased (investments) which bring in more cash than the hurdle rate. Depending on the circumstances a simple example of good debt might be purchasing computer equipment via debt (or a lease) to speed up office processes. This increased speed will either mean that less resource is needed or that more can be done (for example, more sales) with the same amount of resource. These efficiencies will obviously need to outweigh the hurdle rate. Unlike good debt, bad debt purchases do not return enough to overcome the hurdle rate, and are a drain on the lifeblood of the business – cash. Bad debt isn’t just investments which don’t achieve the hurdle rate, often they are vanity purchases which not only don’t achieve any return on investment, but produce a negative dent in cash flow. Whether you’re a small business owner or run a large P&L centre within a larger organization, it is useful to understand the difference between good and bad debt. Bad debt is always a drain on business, whereas a modest amount of good debt can give fan the flames of your business and accelerate its growth.